Botswana is famous for its wildlife, areas like the Chobe National Park, Moremi National Park in the Okavango Delta and the Central Kalahari Game Reserve have a very high concentration of game. The bulk of the Kalahari desert falls within Botswana’s borders and Botswana is home to most of the world’s San (bushman) population. Understand. The economy, one of the most robust on the continent, is dominated by diamond mining and tourism. As a tourist destination, Botswana has traditionally opted for a high price / low numbers formula, in part as a conservation strategy, and also to differentiate itself from neighbouring tourist countries who follow a mass market tourism policy. 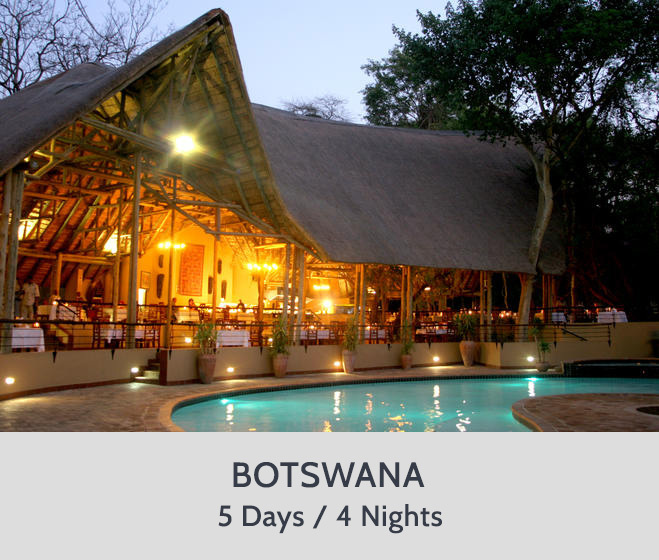 However, that isn’t to say that Botswana is an expensive high end destination. In many respects costs and quality compare to neighbouring South Africa. However the two jewels in Botswana’s tourism crown (the Okavango delta and Chobe National Park) are quite exclusive, although there are budget options. For independent travellers touring the region Botswana offers an interesting contrast to the poverty of its northern neighbours, and is free from the apartheid hangover that still blights South Africa. Botswana has a long established tourism industry and levels of service are good, hassles are low and tourist numbers minimal away from the main parks, allowing for some magical ‘off the beaten path’ experiences.